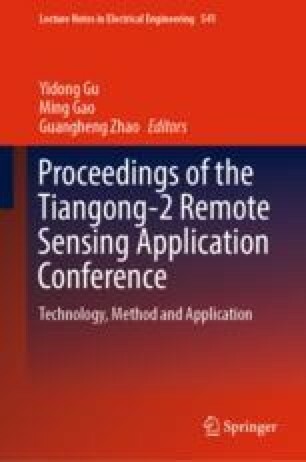 The interferometric imaging radar altimeter (InIRA) of Tiangong-2 is a new type of altimeter, which combines with traditional altimeter height tracking measurement technology, SAR synthetic aperture technology and SAR interference measurement technology. According to its imaging characteristics, a geometric correction algorithm for InIRA is proposed, and some positioning error sources included the virtual ellipsoid model, elevation errors and atmosphere transmission delay are corrected. Firstly, a geometric correction model is established based on slant Range-Doppler equations. Secondly, we correct the original virtual ellipsoid model of the geometric correction model to a new one for quite well describing its actual geometric relationship. Thirdly, we achieve elevation values from corresponding elevation data of InIRA as an input parameter of the geometric correction model. Fourthly, an atmosphere transmission delay is calculated by a simplified static model associated with elevation parameters. Finally, the geometric correction model is verified to be valid through actual images of InIRA. The result shows that the positioning accuracy improved by 3 pixels. Thanks to China Manned Space Engineering for providing space science and application data products of Tiangong-2.